John Healey started his path in art back in the 70's on Elmwood Ave in Buffalo, NY . His studio was called Elmwood Gallery back then. Originally Elmwood Gallery was a gallery and showed the works of emerging artists such as Howard Werner and established artists such as Imogene Cunningham. 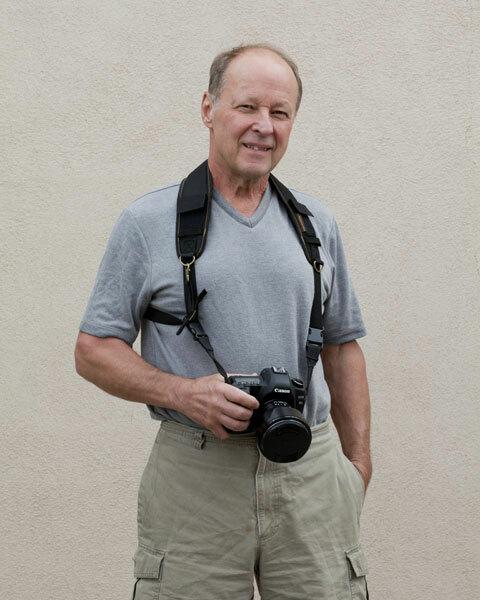 John worked as a professional photographer, dabbling in everything from fine art photography, investigative photography, weddings, nudes, fashion and celebrity photography. In the 80's John became more invoved in glass and started his path towards glass sculpture. Initially John worked in stained glass and beveled glass before transitioning fully into three dimensional sculptural works. In 1990 Ema Tanigaki was recruited and added her more scientific mind to the mix and the technology of optical glass and laminations began to develop rapidly. In 1997 Ema became a partner and we became Healey Studio LLC, still in Buffalo NY. At the end of 1999 John, Ema and the studio moved to Albuquerque, NM. In 2005 John and Ema were married and continue to work together and individually on many varieties of creative works. The name John Healey seems to be uncommonly common, especially with photographers. Please do not confuse our work with the other John Healeys, John Healys, Healey Studios, or Healy Studio(s). We are Healey Studio LLC, the studio of John L Healey, photographer and glass sculptor.